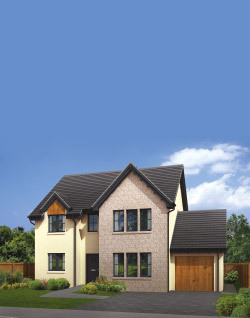 CastlePark is a luxurious development of family homes. Built with materials such as granite and cedar, they combine the best of the traditional and the modern. We very much hope you will consider choosing one of these exceptional houses as a place to call home. 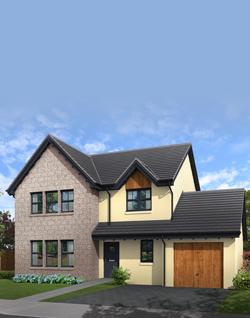 The Lochnagar showhome, a five bedroom detached home with double garage. 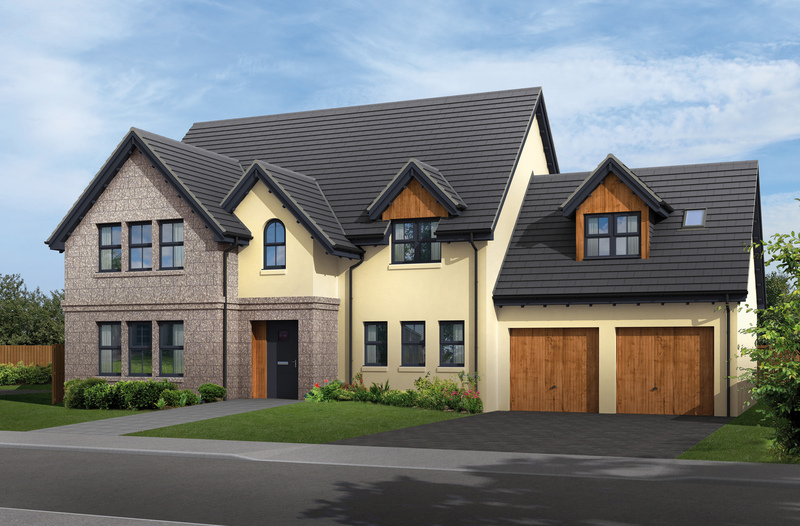 The Lochnagar showcases the range of housetypes available at CastlePark. The Lochnagar features a stunning open plan kitchen, dining room and family room spanning the full width of the house. In addition double doors from the spacious hall lead to a separate formal lounge. The first floor features a galleried landing, five bedrooms, two of which are ensuite, plus a stylish bathroom with separate shower cubicle. From Aberdeen take the A93 through Banchory and follow towards Aboyne and Ballater. Once in Aboyne follow the main road (A93/Ballater Road) through the town and then take a right at the B9094, continue up this road, the development is further up on your left. From Ballater take the A93. Once in Aboyne follow the main road (A93/Ballater Road) through the town then take a left at the B9094, continue up this road, the development is further up on your left. Aboyne is a charming village in the heart of the rolling Dee Valley. Unusually for a Scottish village, it is built around a wide village green, where the cherry trees blossom in the spring under the benign gaze of the blue hills beyond. Each August, the green is host to the great spectacle of its own highland games, established in 1867. The village is small enough to foster a great community spirit, but big enough to boast a wonderful array of shops, and all manner of amenities. It has one of the finest butchers in the area, whose Aberdeen Angus beef is second to none, and everything from a florist to a vet. There is a bowling green, a water-skiing club at the Aboyne loch, two golf courses, and a community centre with a library, theatre and swimming pool. There is a primary and secondary school, both of which have received glowing reports from the Scottish Inspector of Education. The mighty River Dee, which runs just south of the village, is renowned for its salmon fishing, and two miles away is the Deeside gliding club.